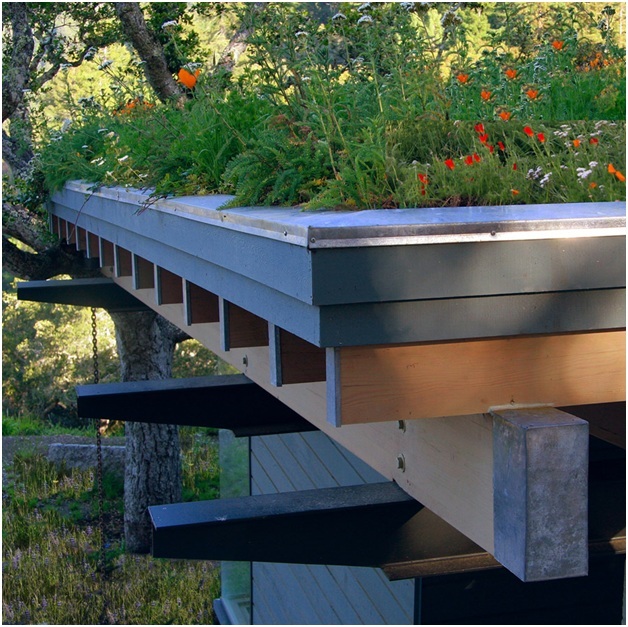 Green Roofing provides many benefits to the built and natural environment, as well as its inhabitants. The roof, a simple extension of the existing one, diverts waste from landfills by prolonging the life of all systems in the building as well as filters pollutants from storm water and the air. With a larger startup cost, many are discouraged from converting. Yet over the past ten years, green roofs have spread to cities such as New York, Chicago, and Miami. Some remain private, only for service access, while there are others that are used as herb gardens, restaurant terraces, and public garden spaces. The larger corporate buildings as well as civic buildings are creating roof gardens, lending the space to employees as well as the public in some instances. But the green roof is also beneficial in residential and smaller scale applications. Not only is it a matter of energy efficiency, but it is also very pleasing to look at!